Category Archives: Pasteur Street Brewing Co.
Brewery: Pasteur Street Brewing Co. 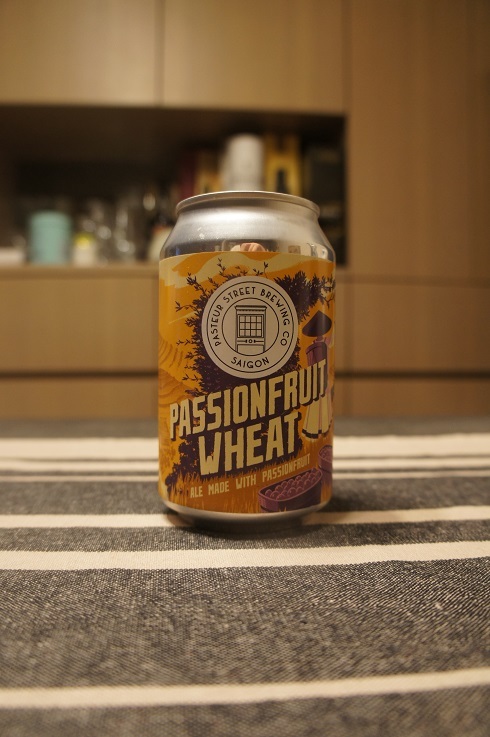 Brewer Description: (from can) Passionfruit Wheat is a classic American style wheat beer made with fresh squeezed passionfruit from Đà Lạt, Việt Nam. We have sourced the finest passionfruit from VN farmers and infused it at the peak of freshness. 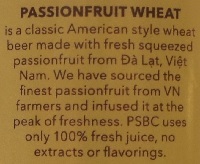 PSBC uses only 100% fresh juice, no extracts or flavorings. Intro: A 330ml can, canned on 21st July 2017. Poured into a Holy Mountain tulip glass. Appearance: A hazy golden straw colour with a one finger white head that dissipated quickly and left no lacing. Aroma: Tart, fruit forward passionfruit, peach and apricot with hints of lychee here and there. Taste: Similar to the aroma with tart juicy passionfruit, peach and apricot. Mouthfeel: Light bodied with high prickly carbonation. Overall: Although it lacks complexity, it is still very easy to drink and would be refreshing on a hot day. 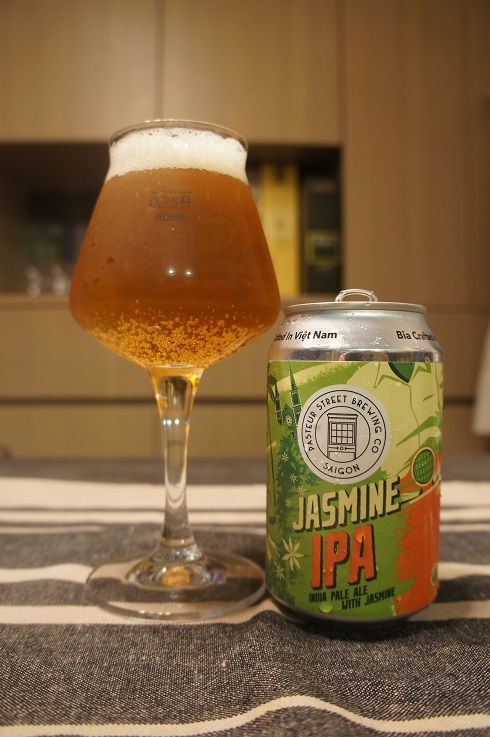 Brewer Description: (from can) This craft beer is a classic American style IPA. 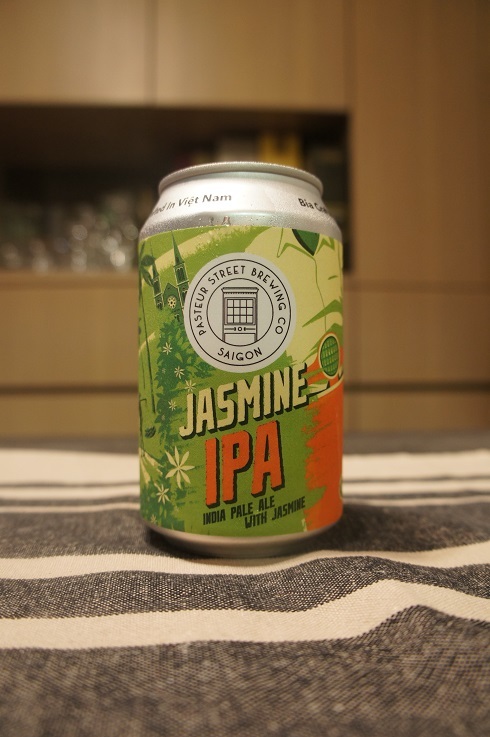 Citra hops imbue the taste with a citrus blast and jasmine flowers from Sapa, Việt Nam make for a wonderfully distinct aroma. Intro: A 330ml can, canned on 23rd October 2017. Poured into a Moonzen teku glass. Appearance: A nice clear golden orange colour with a one finger off white head that had decent retention and some lacing. Aroma: Mango, orange rind, grapefruit, grass, floral and tea. Taste: Biscuit malt, apricot, orange rind, grapefruit, grass, pine and floral. Mouthfeel: Light to medium bodied with moderate to low carbonation. Overall: Quite good, especially the aroma.